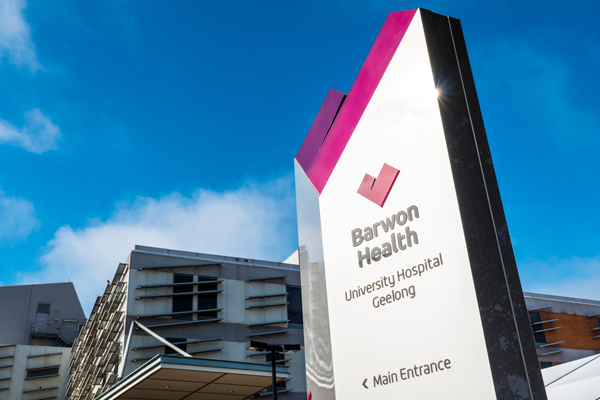 Barwon Health is Victoria’s largest regional health service. We provide high quality, safe, people-focused care to more than 500,000 people in Geelong and South Western Victoria. Health services available through Barwon Health cover the full spectrum from primary care, community services, aged care, rehabilitation, mental health, emergency and acute care. With the exception of neurosurgery and transplantation, virtually all other specialties are available through University Hospital Geelong. Aged care through the McKellar Centre and its sites in North Geelong and Charelmont. With more than 6,500 staff, we are one of Australia's largest regional employers and a major education provider through our relationships with Deakin University, Melbourne University, Monash University, the Gordon and a number of other educational centres and universities.